Something that is never missing in the daily coming and going in the life of a Mexican are the food stalls in the street. If you visit Cancun and want to feel like a local, I invite you to leave the Hotel Zone and peruse the streets of downtown Cancun to try some of these delights. Originating in Yucatan, Izamal to be more precise, marquesitas are made from the same dough that is used to make ice cream wafers and their filling is generally sweet: caramel, strawberry jam, dulce de leche, nutella, honey or Cream cheese with blackberry. The ingredient that most characterizes them is the Dutch ball cheese. They serve them freshly made by spreading the batter over the skillet, the same way crepes are prepared, and then roll it up like a taquito. Delicious! 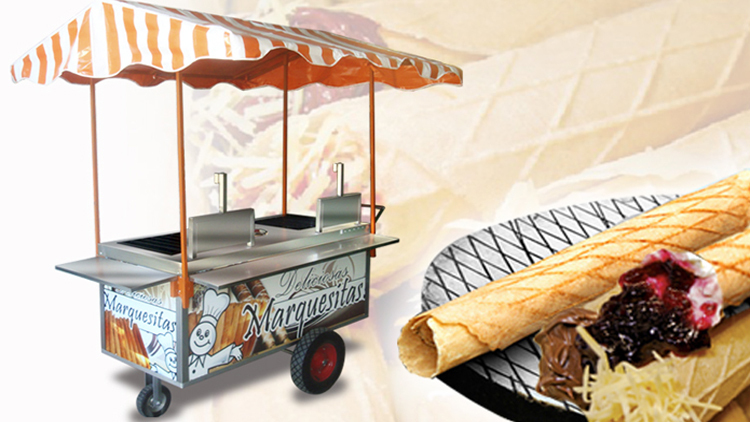 The best place to find plenty of Marquesitas stands is in Parque las Palapas in downtown Cancun. Corn has been present in Mexican gastronomy for centuries, so it is no wonder that it is consumed in the most varied and delicious forms. If you walk the streets, especially passing many street corners (why is that they are always on corners?) and you meet a gentleman with his cart and a huge steamer with the aroma of charcoal in the embers, you are in front of a seller of elotes and esquites . 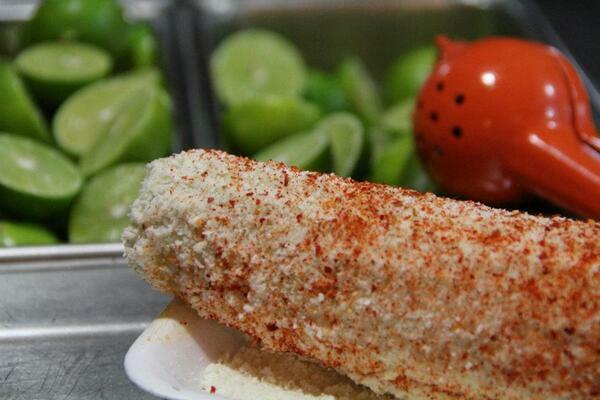 Steamed, the elote is mounted on a stick and covered with lime, mayonnaise, and then sprinkled with cheese and... chile. 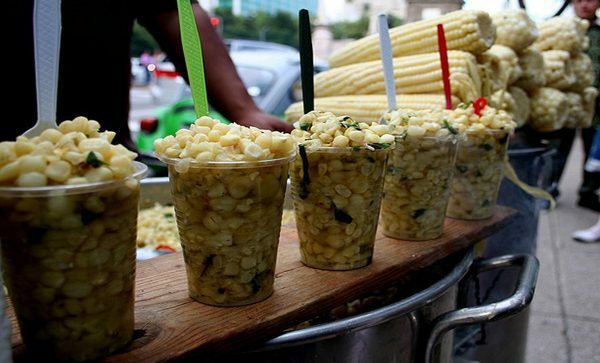 The esquites are the corn kernels that are served in a cup with the same ingredients. They are super healthy, nutritious, and tasty. Find them along Tulum Avenue in downtown Cancun, Mercado 28, and Parque Las Palapas. This famous snack is something extreme, I recommend it for people with a bittersweet palate since its ingredients are spicy and salty. 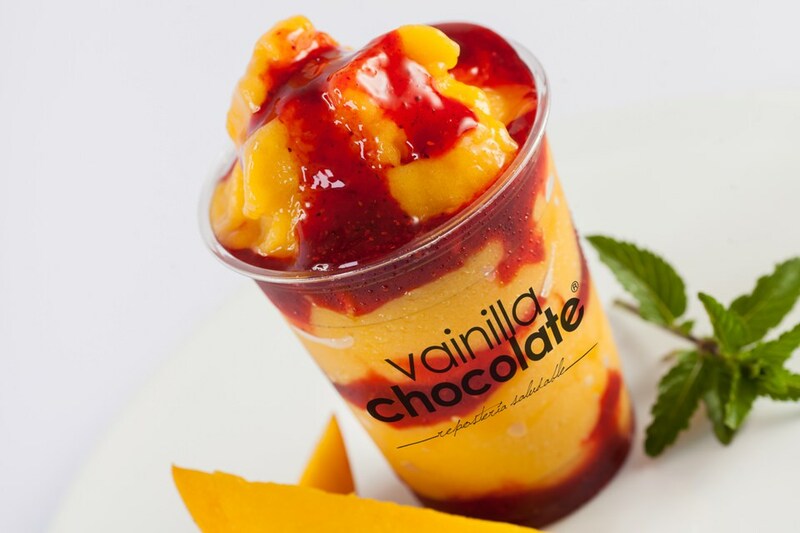 The base is blended ice with the fruit of your preference: mango, lemon, tamarind or many others. To this is added chamoy which is a sauce made of dehydrated fruits with chile. The chamoyada is finished off according to the taste of the client; You can put a tamarind stick or sweet gummy candies to get that bittersweet flavor. Once again, these delights will undoubtedly be found at the place where Cancuners gather to take a walk with the family: Parque Las Palapas. In addition to the beauty of Cancun's beaches, shopping centers, and nightlife, this tourist destination of pure excellence includes gastronomy that will make anyone fall in love with Mexican cuisine, are you ready? Make your hotel reservation, here.